Minneapolis, Minn. — There may have been less no shows than a year ago, but scanned ticket data shows actual 2017-18 attendance for University of Minnesota men’s hockey was the lowest it has been in four years of Big Ten hockey. During Don Lucia’s last season as head coach an average of 6.257 tickets were scanned for home games with 28 percent of tickets distributed unused. in ticketing data has been a steady decline. Minnesota’s schedule included many of its rivals, but their non-conference schedule had two of its strongest (North Dakota and Minnesota-Duluth) on the road. When traditional opponents did come in the building, the fans did not. Games against Wisconsin in December drew just 6,407 and 6,046 fans over the first weekend of the month. When top-ranked St. Cloud State visited for its one game January 7, just 6,269 fans were in the building. The strongest crowds of the season were over winter break when Army West Point filled the student section with scanned attendance of 6,788 and 6,471, and then again when Notre Dame fans took advantage of available seats for scanned attendance of 6,417 and the biggest number of the season 7,890. The biggest weekend of the season was 15,077 for the season finale against Ohio State when youth groups took advantage of group discounts. The number of tickets scanned were the lowest since GopherPuckLive has been publishing data and a big reason for the lower number is due to a decline of season ticket holders from 7,765 in 2010-11 to just 5,474 in 2017-18. The decline forces Gopher Sports to move more tickets for every home and is something they haven’t had to do before. The move to the Big Ten has been a source of frustration for many fans, as has been the tenure of Don Lucia for critics of the program. 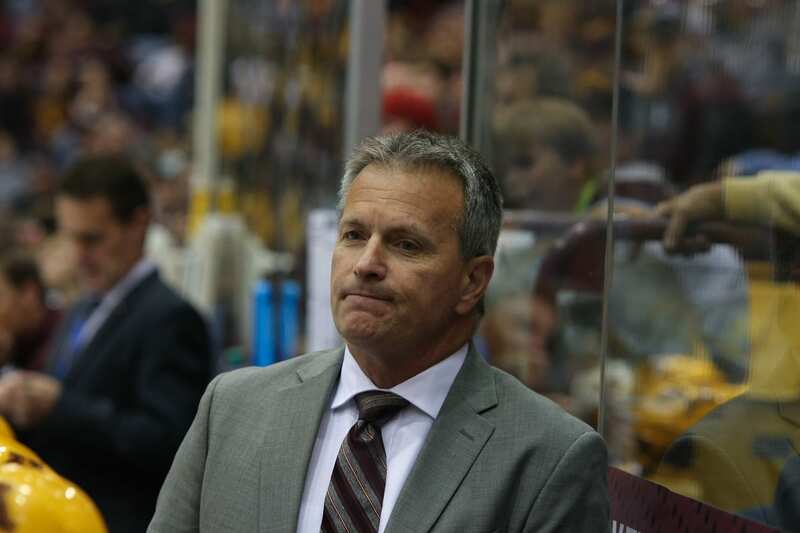 The Gophers have tried to win those fans back by continuing to schedule its rivals and played the strongest schedule in college hockey this season, a schedule that might have cost them a tournament berth by 0.0001 in the RPI. Lucia spoke to The Athletic on the Sunday after his team bounced out of the tournament and sounded like a coach resigned to the end of his 19-year career where he led the team to hang 14 banners including two national championships. He was reflective at his press conference on Monday where he hoped the next coach will have more support. Season Ticket renewals were sent out in February for the 2018-19 season. Prices were lowered for one zone of tickets from $700 to $600 in three sections, while prices remained unchanged for the rest of the building. Gopher Sports had also been collecting scholarship seating donations before December 31, 2017 since the scholarship seating donations will no longer be tax deductible in 2018. 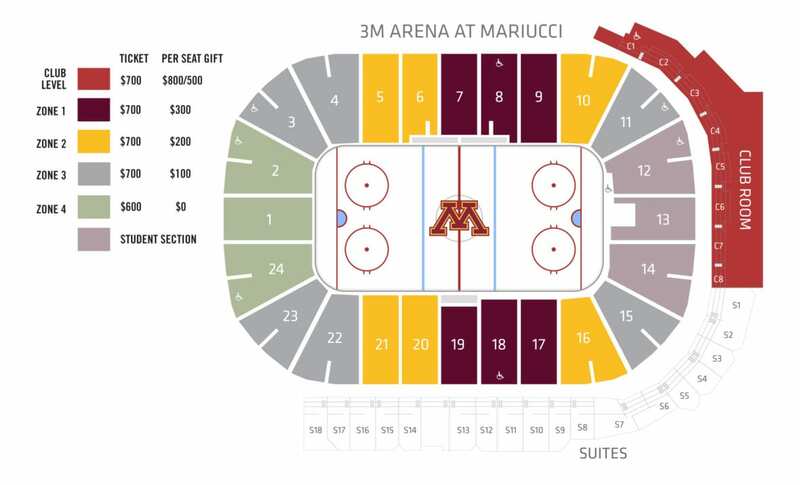 The marketing also offered some renewal incentives for the first time for men’s hockey to compliment its Gopher Loyalty Program. Despite the decline in attendance numbers for Minnesota, they still ranked third in the country at 8,726 announced attendance behind just North Dakota (11,408) and Wisconsin (10,436). Note: ‘Tickets Distributed’ does not always directly correlate to announced attendance based on the ticketing policy implemented by the University of Minnesota.